Infuse 6 is now available for iOS and Apple TV, and includes a host of awesome new features. iCloud libraries allow for seamless syncing of metadata, library settings, and playback progress between all your devices. Start a video on iPhone, and easily jump back in where you left off on Apple TV. Mark a few things as watched on one device, and they will instantly sync over to others. No server software to set up and manage, just super-fast, automatic syncing between all your devices...exactly how it should be. Infuse 5.9 is available today, and includes some great new things. Cloud streaming has been totally revamped in 5.9. 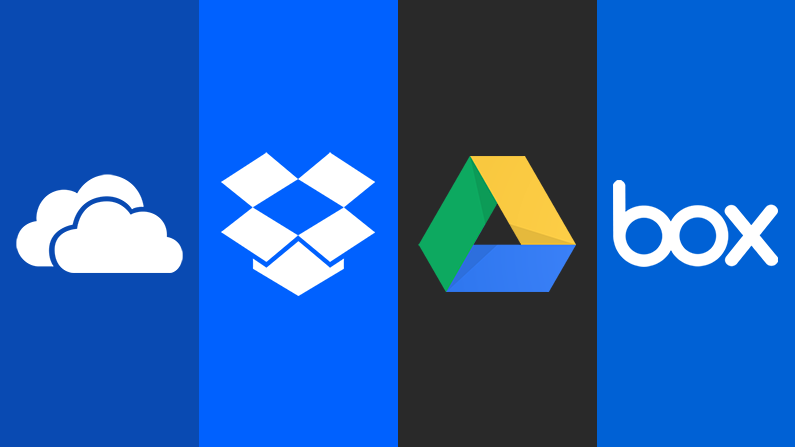 We've added support for Box, Google Team Drives, and OneDrive for Business along with a massive dose of reliability and speed to allow things to work better than ever before. Infuse will now display a small thumbnail while seeking forward or back through your videos, making it much easier to find the exact scene you are looking for. Live preview scrubbing is available on both iOS and Apple TV, and works with all video and network share types. Some things in life are worth waiting for, but now there's no need to wait any longer. 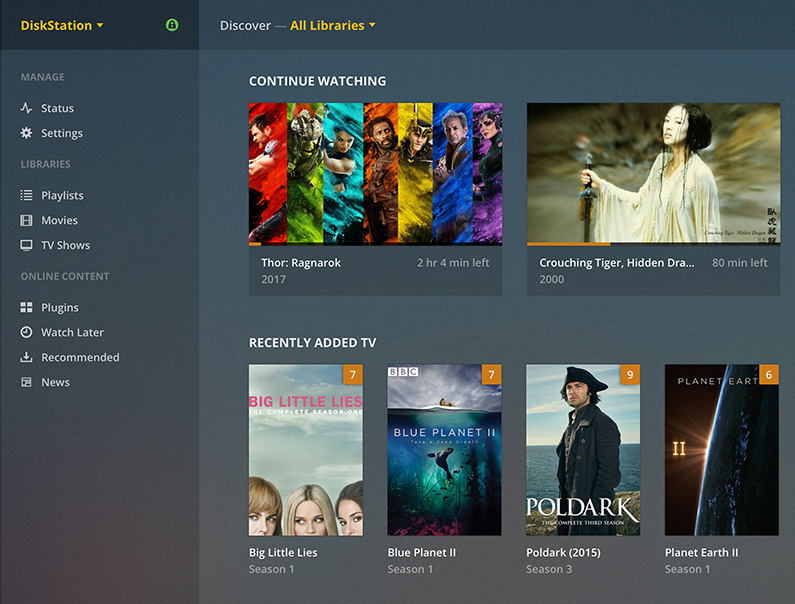 Today we're very excited to roll out Infuse 5.7 with our all-new, native Plex integration! We're also introducing a new design for Apple TV which we think is pretty fantastic too. More info on both can be seen below. 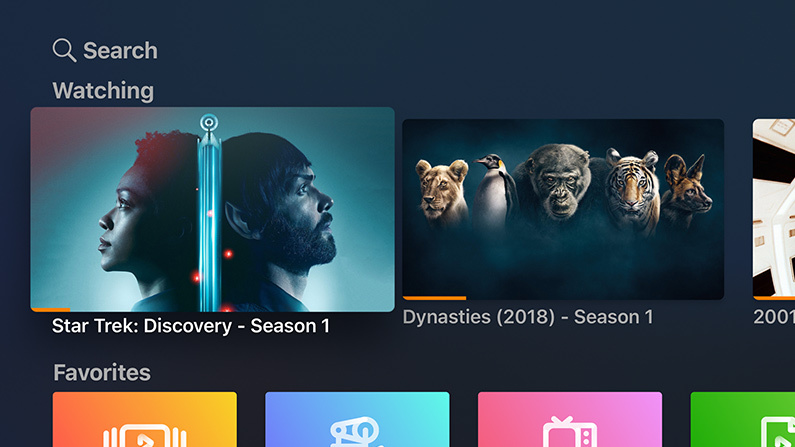 Some say it's a match made in heaven, others say it's simply magic – whatever you want to call it, our friends using Plex can now access videos (while home or away) and keep libraries, metadata, artwork, and watched history all in sync. Also, thanks to Infuse's robust codec support, you'll be able to enjoy videos in their full, original quality (including glorious 4K HDR and lossless audio). 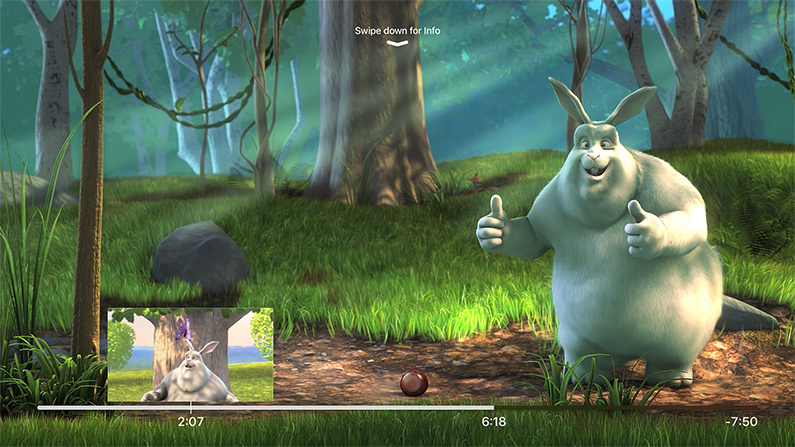 No transcoding required – just browse, play, and enjoy! Fall is the air, leaves are changing, snow is on the horizon...and Infuse 5 is getting some excitng new improvements in a huge new update. Introducing the all-new Infuse with a fresh new look built around the videos you love. 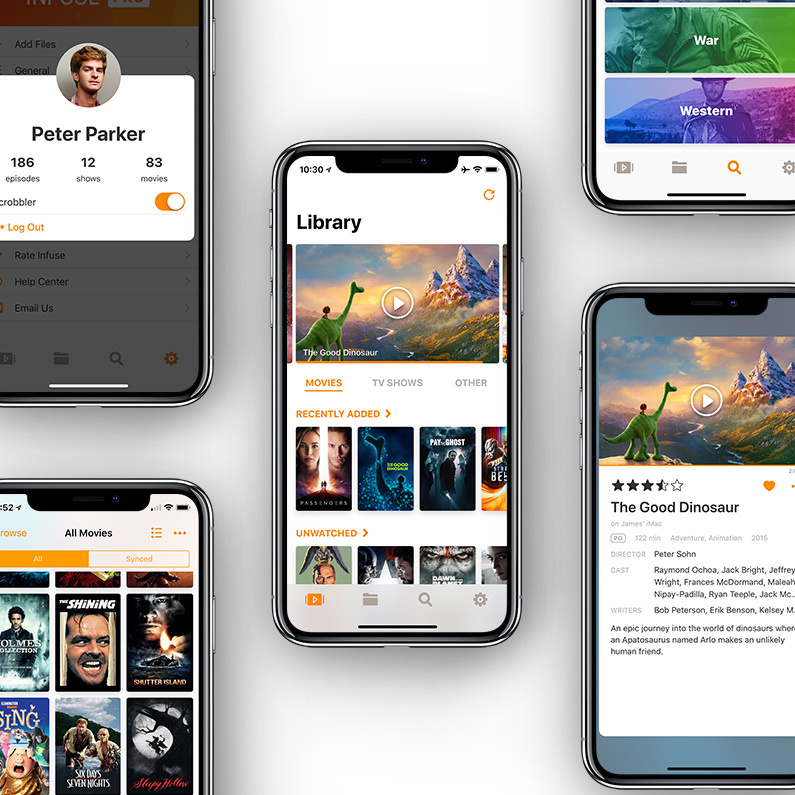 We've taken the best parts of Infuse, rebuilt them from the ground up using modern frameworks, and made many other fine adjustments to get things just right. And of course, 5.6 looks great on the shiny new iPhone X. Some pretty amazing new things were announced today in Cupertino - Apple TV 4K, iPhone 8, iPhone X, and more! These new devices look fantastic, and we can't wait to get our hands on them to see what they can really do. 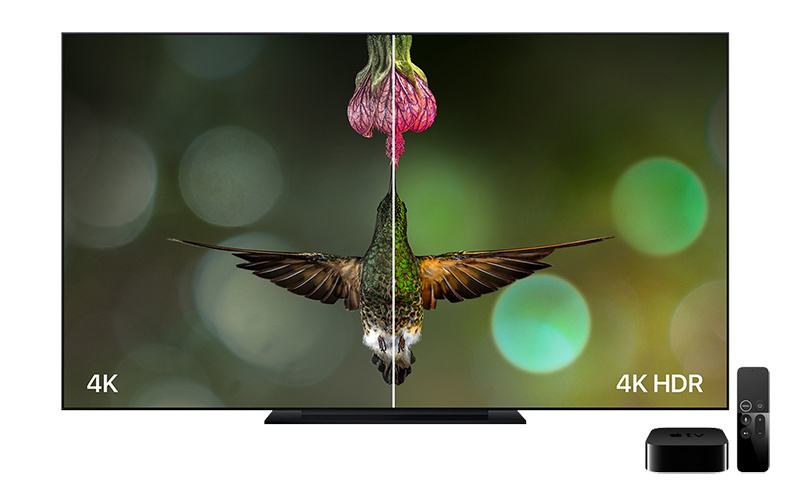 Among other things, the new Apple TV 4K and iPhone X will both support 4K resolution, HEVC video, High Dynamic Range (HDR) and Dolby Vision.